Version 1.1 ----------- What's New? 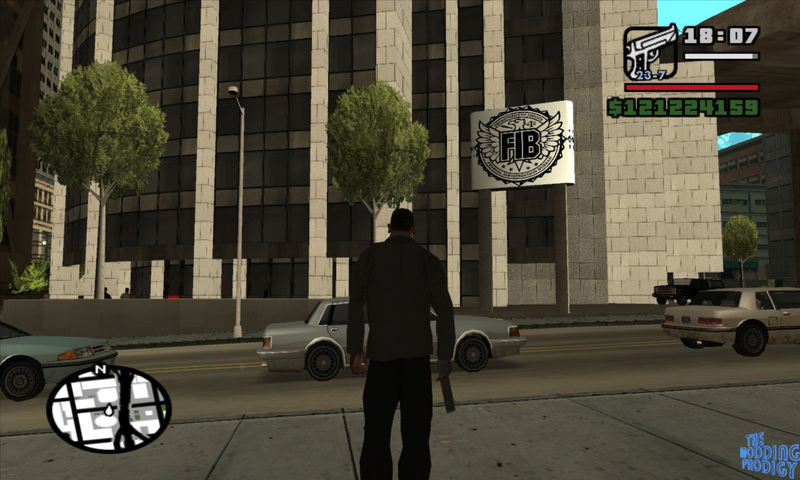 ----------- >FIB signboard with FIB logo( as in GTA V) added in front of the FIB building, with perfect collision file. >The uppermost floor balcony of the building can now be accessed from ground, as in the tall round skyscraper next to it! 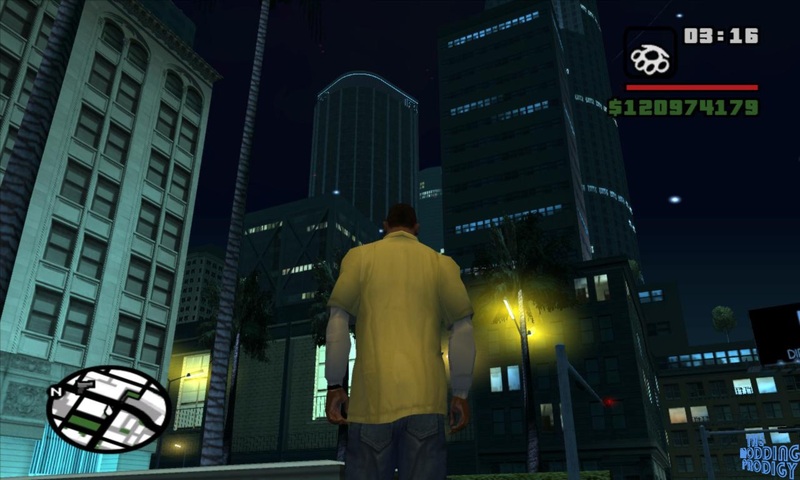 (cleo required) >An FBI Rancher car now spawns in front of the building. (Cleo required) (If you want the FIB SUV car from GTA V, download and install my GTA V FIB SUV car mod from the link given below in NOTES section, and GTA V style FIB SUV will spawn there instead of the old FBI rancher!) Features: --------- >High Quality and detailed model of the FIB building in downtown Los Santos, GTA V. >Exact the FIB building in downtown Los Santos, GTA V. >Perfect and detailed collision mesh for the building. 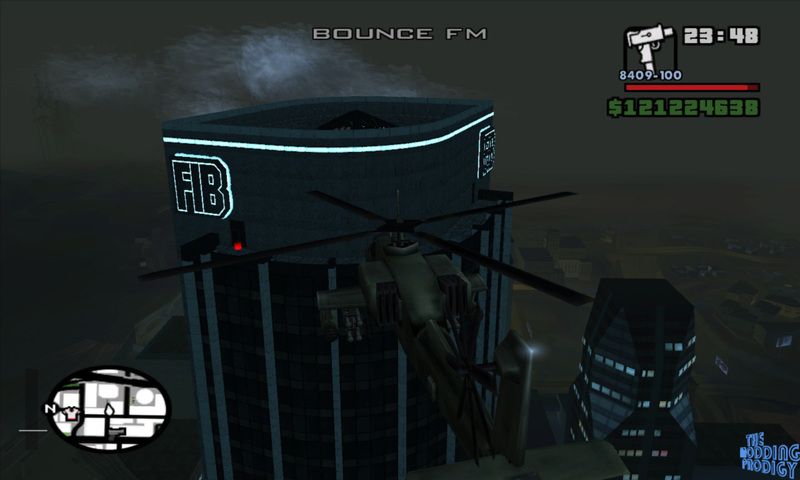 >Detailed and exact textures of this building, as seen in GTA V. >FIB logo and borders of the building glows at night. 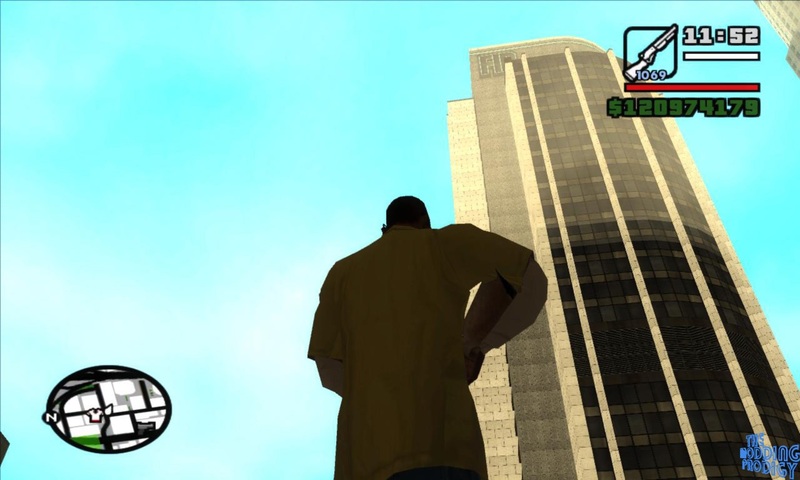 >Good draw distance- detailed model is seen from a long distance. 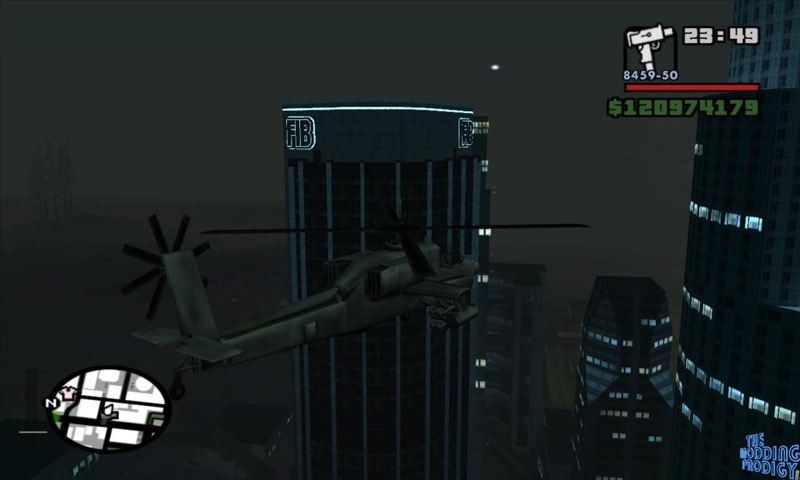 Now you will see a new building, the FIB tower from GTA V, in place of the old LA plaza.